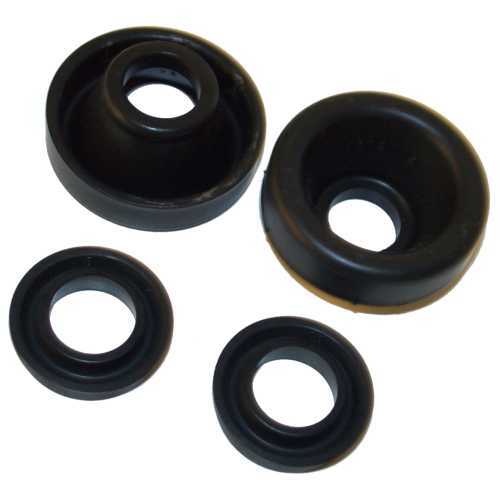 Wheel Cylinder Rebuild Kit used for Bendix Brake Drum Spider Assembles. Kit includes two inner seals and two dust seals with metal ring enough to rebuild one brake assembly. Yes! We know that the price is outrageous for this kit! We agree 100%. While we have aggressively negotiated with the only supplier for this part, they refuse to lower the price. In fact, they argue that they no longer want to supply this part and that we should expect to no longer be able to buy this part. For the short term we will continue to provide this part at a higher price. We are aggressively working to have these parts made overseas. We will keep our clients posted here on our progress.